TAUNTON, Mass. -- A couple born on the same day at the same Massachusetts hospital have exchanged vows more than two decades later. 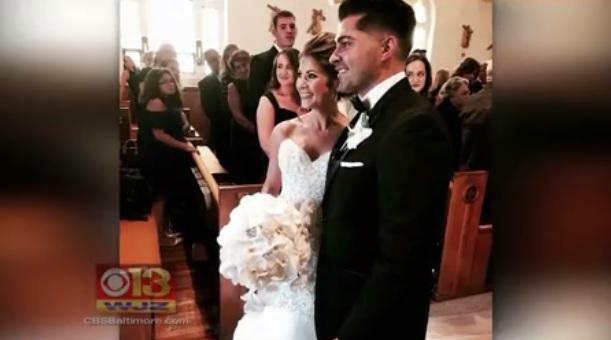 The Taunton Gazette reports that Jessica Gomes and Aaron Bairos got married on Sept. 9. They were born on April 28, 1990, at Morton Hospital in Taunton. Gomes and Bairos were born just two hours apart from each other. They were the only babies born that day, so it's possible that they could have been next to each other in the nursery. The two did not grow up together. Aaron grew up in Taunton, while Jessica first lived in Raynham and moved to Taunton when she was about 10. The couple says they met through mutual friends in high school. Gomes says she and Bairos figured out they were born on the same day "pretty early on" when they took a drivers education class together and saw the proof on their learner's permits. "We told our parents and they even remembered having said hi to each other at the hospital," Jessica told the paper. She says it was love at first sight.